The Benedictine monastery of Buckfast Abbey, located just outside of Buckfastleigh. There has been an abbey here since the 11th century but it was destroyed during Henry VIII's dissolution of the monasteries in 1539. Some time later a Gothic stye mansion was built on the site, which is largely what you see in this photo. The current abbey dates back to the 1900s when the site was bought by a group of French Benedictine monks. 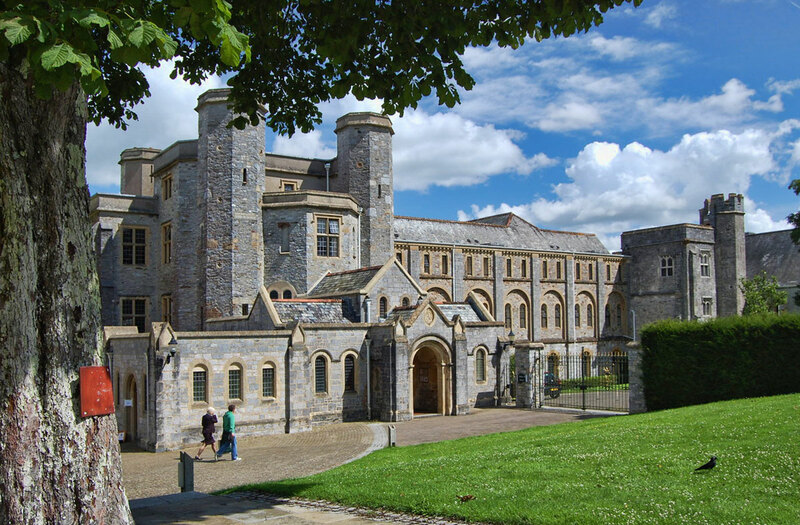 The abbey was built over the next 20 years largely to the footprint of the previous monastery and also to incorporate the mansion.